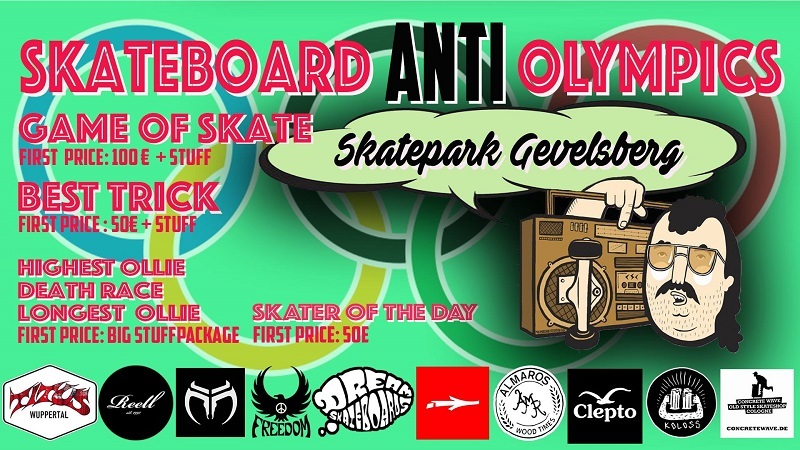 In NRW Germany, not far from Belgium & The Netherlands, there are 2 competitions this saturday the 2nd of june - the 3rd Concrete Jam / Neuss & the Anti Olympic Games in Gevelsberg. Maybe you will join one of them. Good weekend and great time!